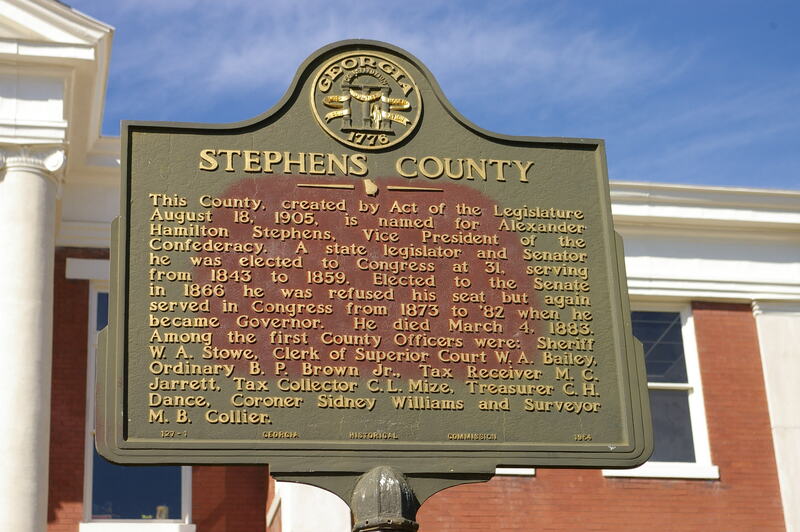 Stephens County is named for Alexander Stephens, who was a United States Representative, the Vice President of the Confederate States of America and the fifty-third governor of Georgia. 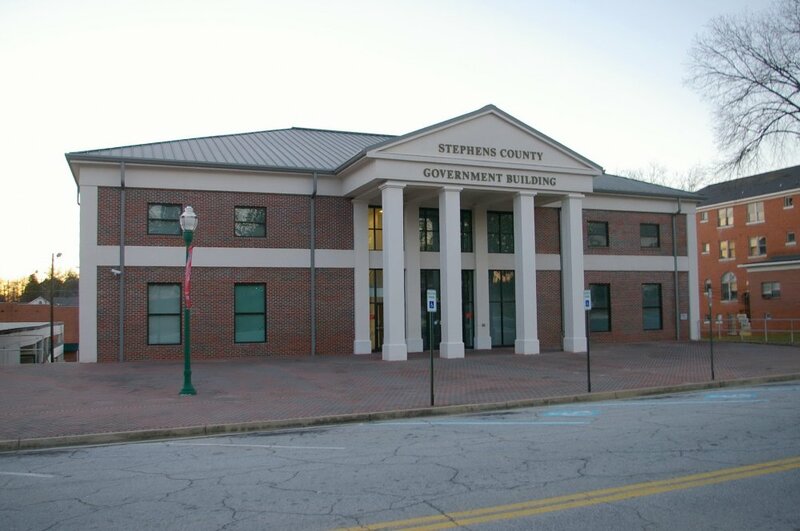 Description: The building faces south and is a two story red colored brick, stone and concrete structure. 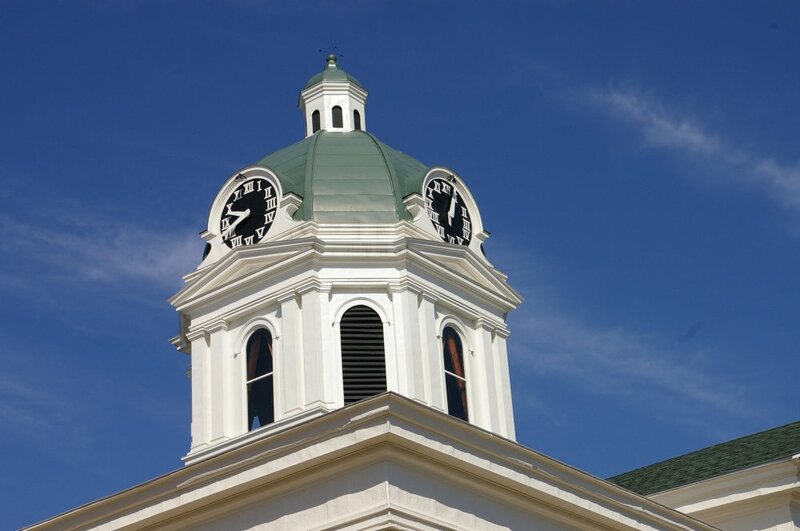 The building sits on a rise. 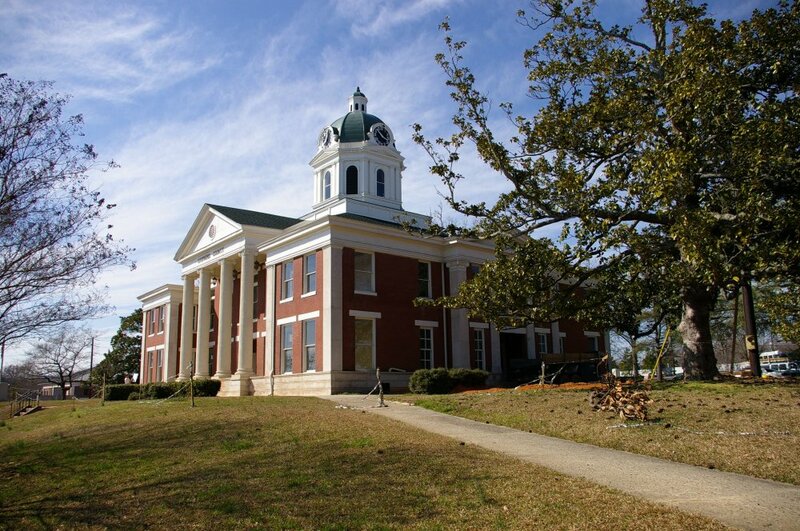 The south front has a large portico with four large white columns rising to a pediment. The east and west wings extend from the main building. 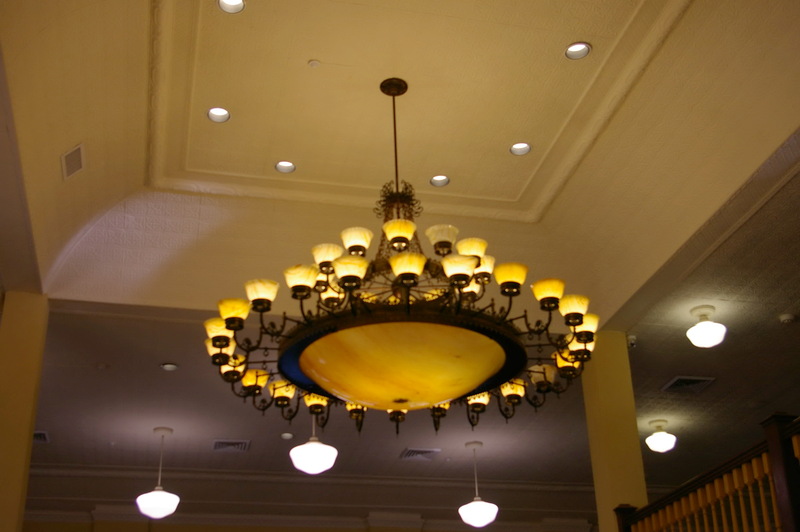 The building was remodeled in 2007 and 2008 and will be used as county offices. 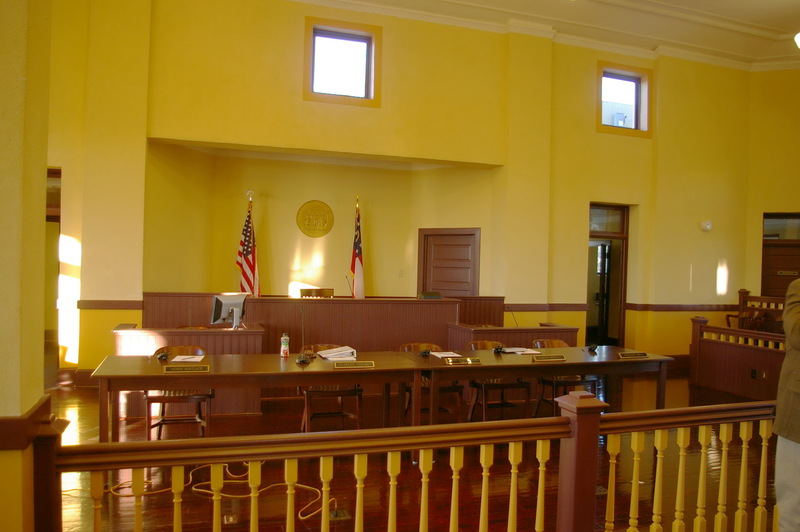 The old courtroom on the second story is now the commissioners room. 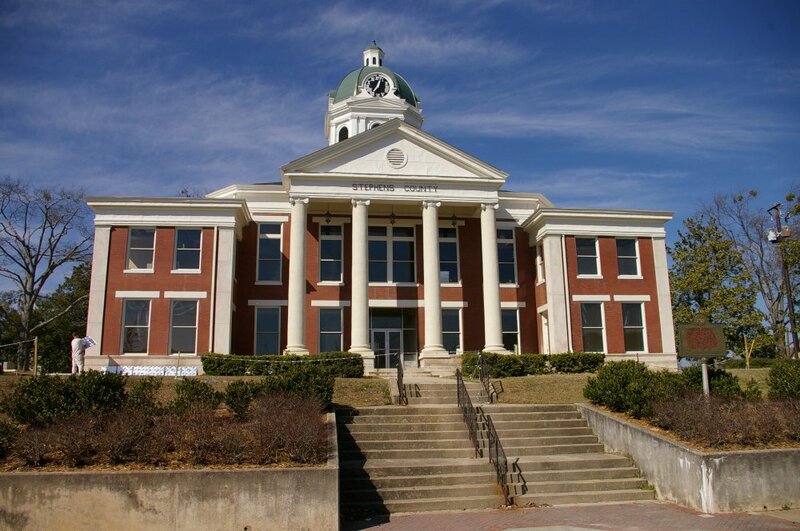 Note: The architect, H C Lewman also designed and his company, Falls City Construction Company, built the courthouse in Irwin County. 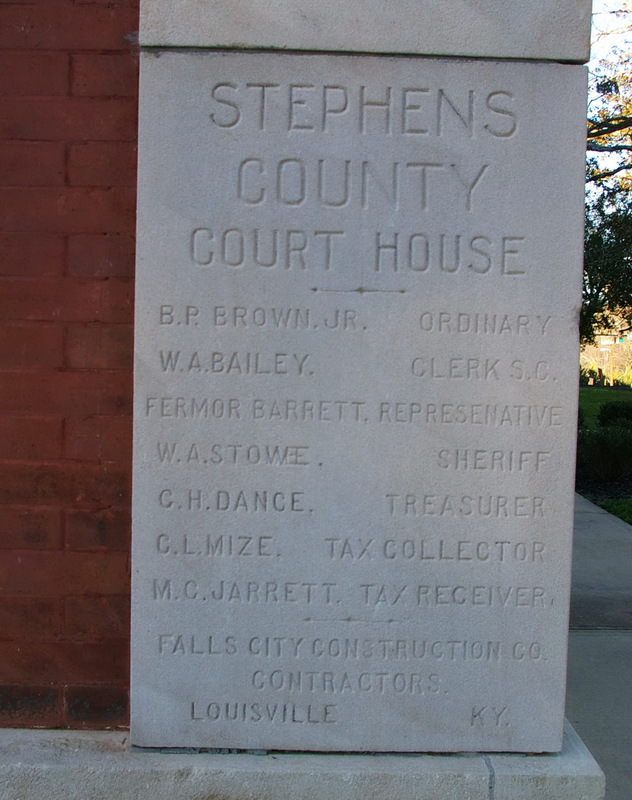 The cornerstone of each courthouse shows only Falls City Construction Company. 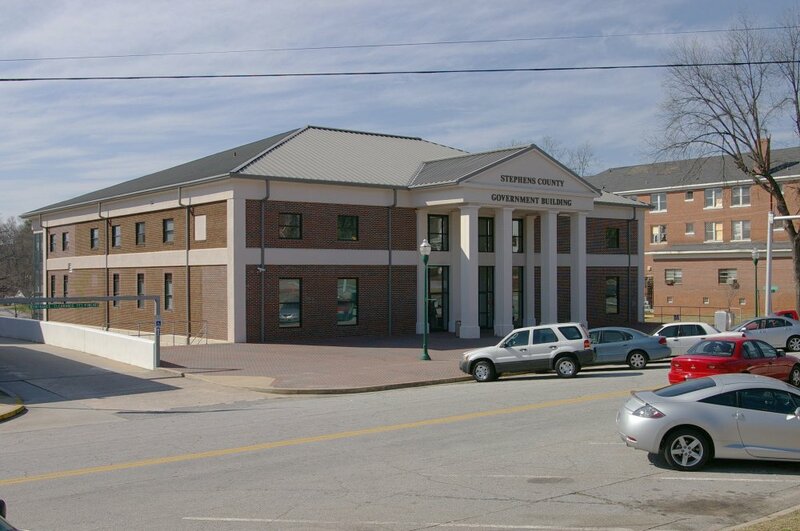 Description: The building faces east and is a two story brown colored brick and concrete structure. 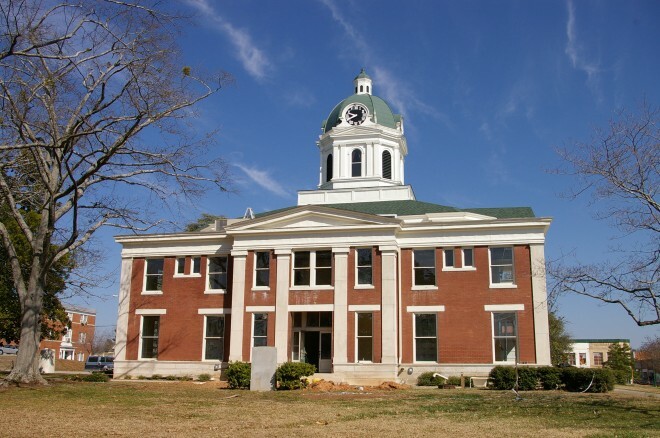 The building has a high portico supported by four square white pillars rising to a pediment at the roof line. 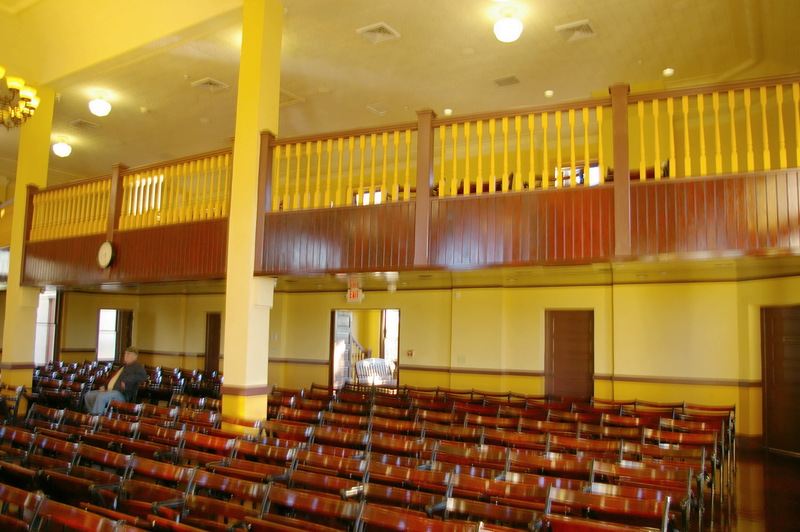 A wide white horizontal band runs between the first and second stories. 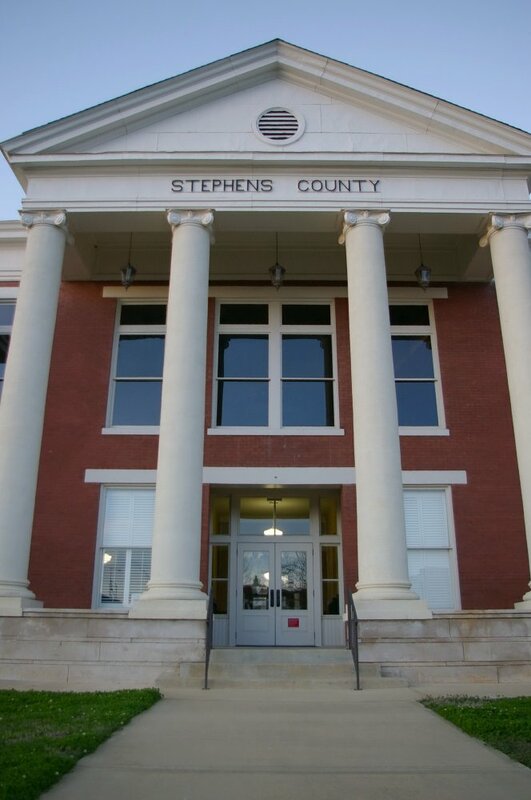 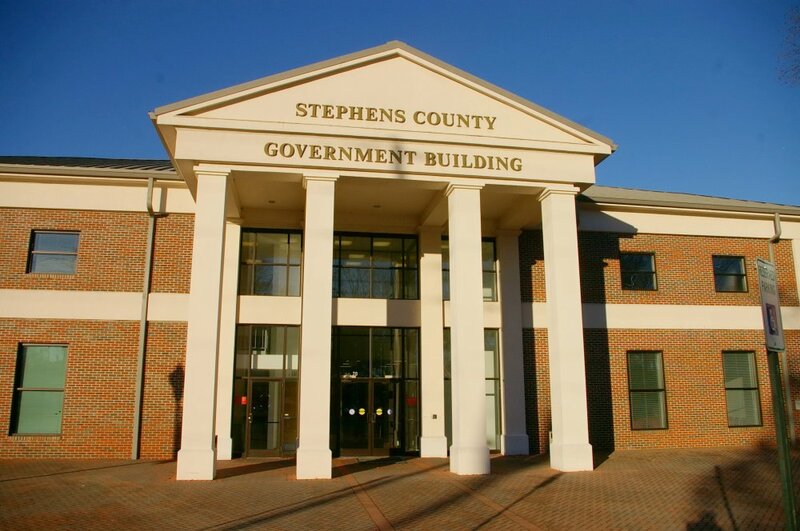 The building is the Stephens County Government Building.